His 4-year-old daughter Barbara sat on his lap quietly sobbing. Bob's wife, Evelyn, was dying of cancer Little Barbara couldn't understand why her mommy could never come home. Barbara looked up into her dad's eyes and asked, "Why isn't Mommy just like everybody else's Mommy?" Small when he was a kid, Bob was often bullied by other boys. He was too little at the time to compete in sports. He was often called names he'd rather not remember. From childhood, Bob was different and never seemed to fit in. Bob did complete college, married his loving wife and was grateful to get his job as a copywriter at Montgomery Ward during the Great Depression. Then he was blessed with his little girl. But it was all short-lived. Evelyn's bout with cancer stripped them of all their savings and now Bob and his daughter were forced to live in a two-room apartment in the Chicago slums. Evelyn died just days before Christmas in 1938. Bob had been asked to create a Christmas pamphlet fro Montgomery Ward and he used the opportunity to give hope to his child. Bob had created an animal character in his own mind and told the animal's story to little Barbara to give her comfort and hope. Again and again Bob told the story, embellishing it more with each telling. Who was the character? What was the story all about? The story Bob May created was his own autobiography in fable form. The character he created was a misfit outcast like he was. The name of the character? A little reindeer named Rudolph, with a big shiny nose. But the story doesn't end there. Wards went on to print,_ Rudolph, the Red-Nosed Reindeer_ and distribute it to children visiting Santa Claus in their stores. 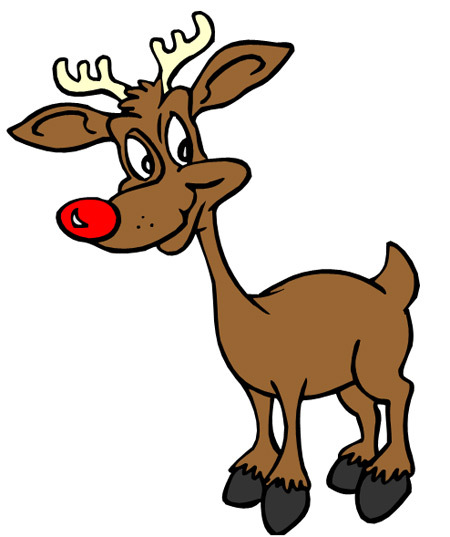 By 1946 Wards had printed and distributed more than six million copies of Rudolph. That same year, a major publisher wanted to purchase the rights from Wards to print an updated version of the book. Bob's brother-in-law, Johnny Marks, made a song adaptation to Rudolph. Though the song was turned down by such popular vocalists as Bing Crosby and Dinah Shore, it was recorded by the singing cowboy, Gene Autry. And Bob May learned the lesson, just like his dear friend Rudolph, that being different isn't so bad. In fact, being different can be a blessing.